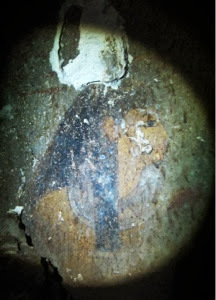 Dr. Mohamed Ibrahim, Minister of Antiquities announced today a new discovery in Luxor. 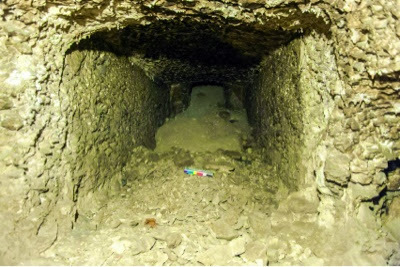 The discovery is a tomb of an high official called "Maai" from the 18th Dynasty, it was discovered by the Spanish-Italian mission working in Sheikh Abd Qurna on the West Bank. The team found a funerary cone made of pottery shows the titles of the deceased including, The Secret Keeper of the God, the Supervisor of the cattle, Overseer of the fields, Overseer of the King's horses, the Mayor, Distinguished of Osiris and the Prince. 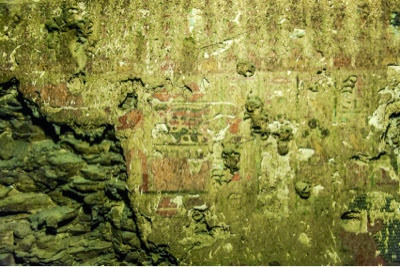 The tomb was discovered during the mission's work in tomb TT109 where they made a hole in one of the walls which led to get to the newly discovered tomb. The team is still working on removing the debris from the tomb. The inscriptions and scenes found so far are important in terms of showing the details of the daily life of the deceased beside his relation with his family. It also shows the luxury were available to high officials at that time. 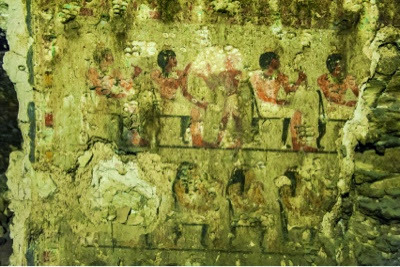 Abd El Hakim Karar, director of Upper Egypt Antiquities said " The scenes in the tomb include one of "Maai" and his wife who called "Nefert" as well as scenes of banquets, hunting and making offerings. Dr. Mila Alvarez Sosa, the head of the mission said " I am happy with this discovery especially it is her first season of the concession in this site." She added that there were different expertise cooperated in the excavation between the Egyptian and Foreign archaeologists of different specialties. Obviusly they are a professional team unlike some other Spanish teams involved in archaeological projects in Luxor west Bank. Congratulations!